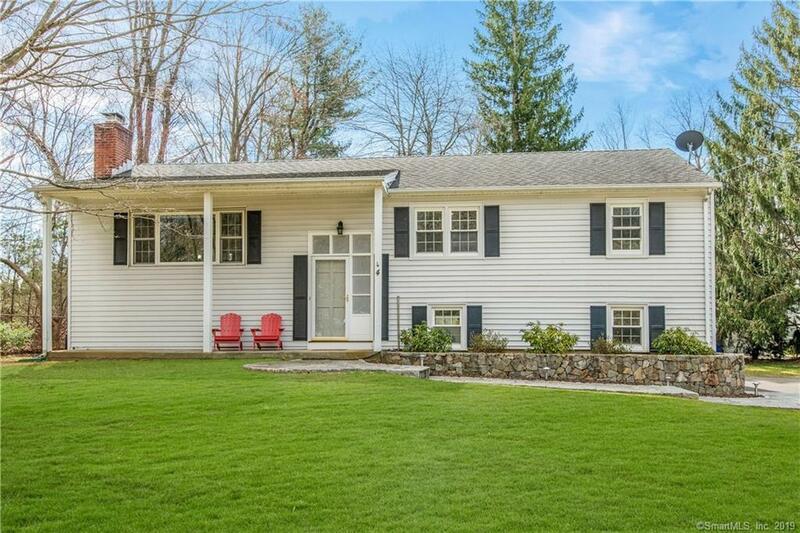 Beautifully presented West Norwalk home on coveted cul de sac in a convenient location. This well appointed house has a great flow for easy lifestyle living. Spacious eat-in kitchen with solid wood cherry cabinetry, granite counters and top of the line appliances. French doors open out to raised deck from the dining area and overlooks private level garden. Large living room with gas fireplace as focal point. Master bedroom has extended luxurious bathroom with heated flooring. Two additional bedrooms and further full bathroom complete the main level. Living room and bedrooms all have refinished hardwood floors. Lower level consists of family room with sliders to additional patio, half bathroom with laundry and access to integral double garage. Generator hook up. The current owners have made many improvements, including front stone walkway, gas fireplace, range, range hood, washer, dryer, remodeled master bathroom, master wardrobes, epoxy garage flooring, electric car hook up, boarded attic floor boarded and insulation, hardwood floor refinished throughout main level and new garden shed. This meticulously maintained move in ready home is not to be missed! Directions: Richards Ave To Bonnybrook Road To Bonnybrook Trail.